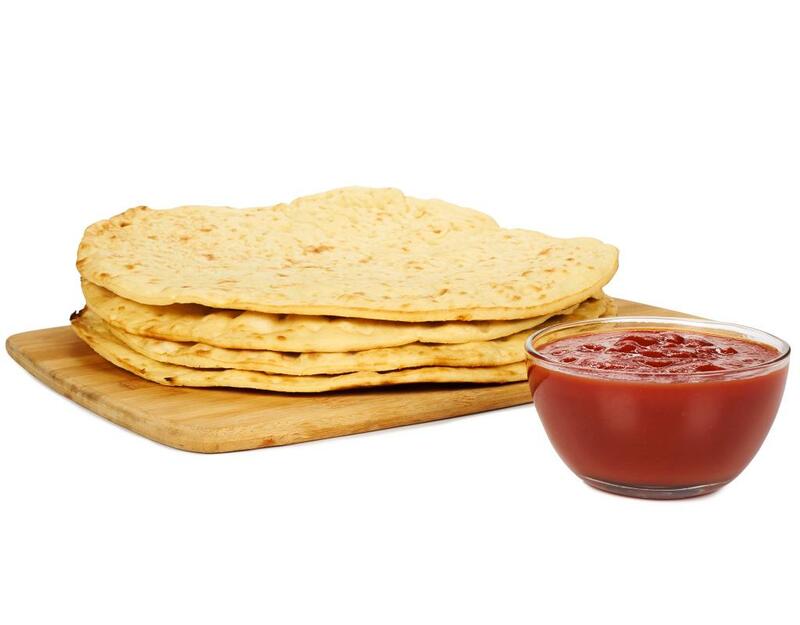 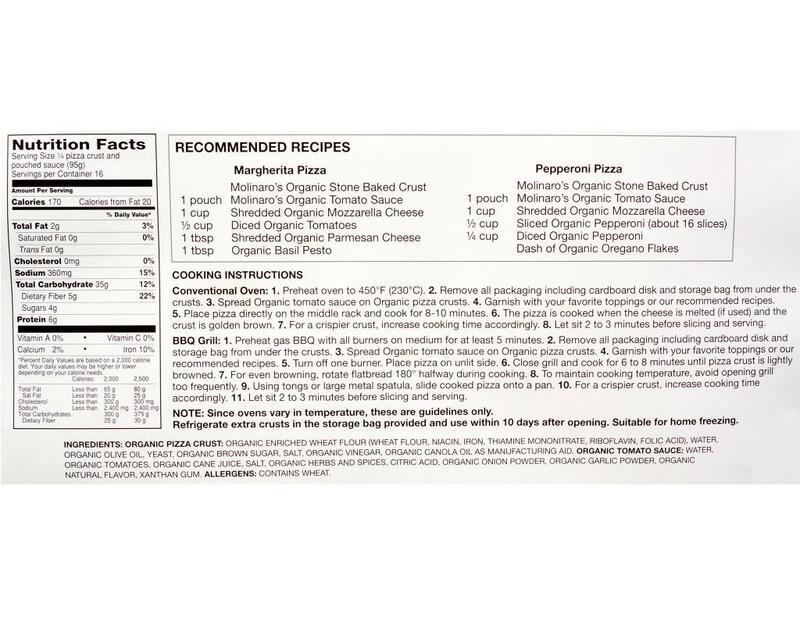 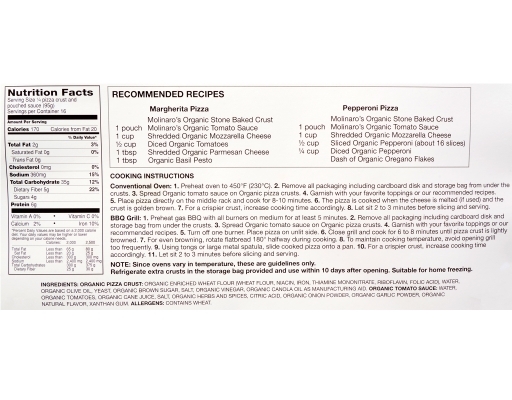 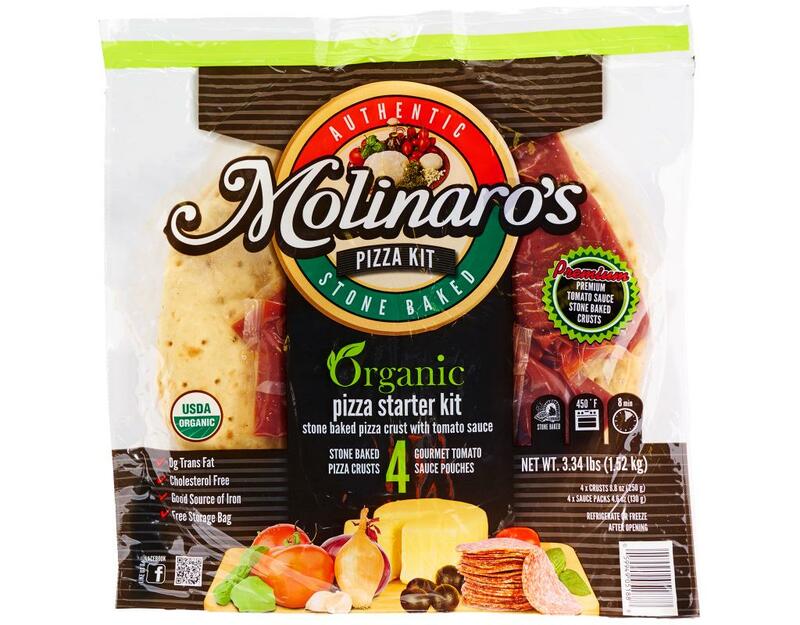 With Molinaro's Organic Pizza Starter Kit, pizza is no longer a guilty pleasure, it's simply a pleasure. Now get creative with your option of toppings to satisfy your cravings! Organic Pizza Crust (Organic Enriched Wheat Flour [ Wheat Flour, Niacin, Iron, Thiamine Mononitrate, Riboflavin, Folic Acid], Water, Organic Olive Oil, Yeast, Organic Brown Sugar, Salt, Organic Vinegar, Organic Canola Oil As Manufacturing Aid), Organic Tomato Sauce (Water, Organic Tomatoes, Organic Cane Juice, Salt, Organic Herbs And Spices, Citric Acid, Organic Onion Powder, Organic Garlic Powder, Organic Natural Flavor, Xanthan Gum).